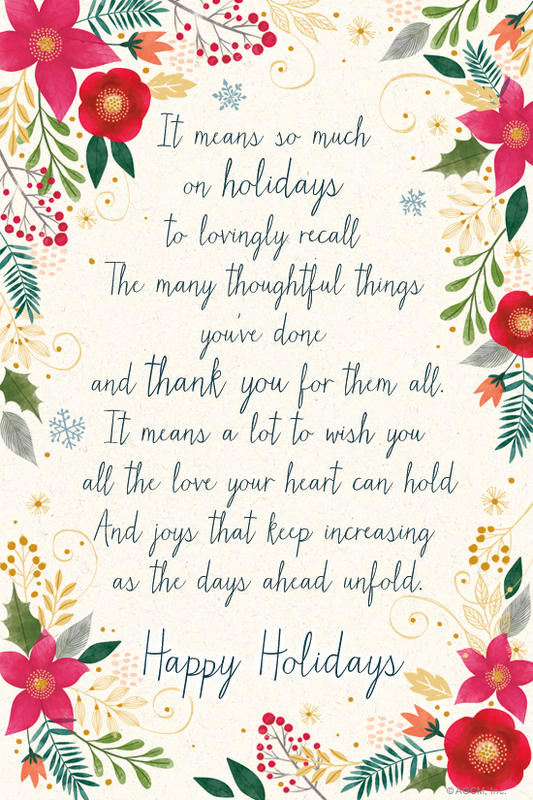 It means so much on holidays to lovingly recall The many thoughtful things you've done and thank you for them all. It means a lot to wish you all the love your heart can hold And joys that keep increasing as the days ahead unfold. Happy Holidays!